The side sewer runs from your home’s drain to the main sewer line. Shared side sewer’s go through two or more properties to reach the public sewer main. Side sewers have different issues surrounding their maintenance than traditional sewer lines. 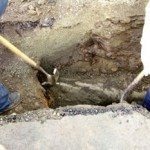 When dealing with your home's side sewers, it is important to hire reliable plumbers who understand all the difficulties involved in repairing a shared side sewer. 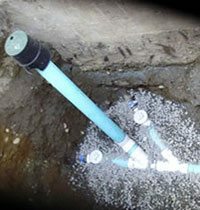 When repairing a shared side sewer or just a normal side sewer you will need approvals from several parties, that's why hiring a licensed plumber that your community respects is very important. Fox has been putting community first since 1964, and that's why we've been the choice by neighbors around Seattle for plumbing and sewer needs again and again, from Burien to Mercer Island, Bellevue to Federal Way, and Sammamish to West Seattle. Do You Have Side Sewer Problems? Downstairs toilet or bathtub clogged? Downstairs toilet backing up into the bathtub? Your side sewer begins at and includes the connection to the public sewer and ends at the point of connection to your home plumbing system. This is usually two feet outside the foundation line or your outer wall. ‘Side sewer’ includes the lateral sewer and the house sewer and is considered a privately owned and maintained the sewer line, according to the Seattle Public Utilities (Seattle Municipal Code 21.16.190). Lateral Sewer: Is the portion of the side sewer that is within the public right-of-way or District easement. House Sewer: Is the portion of the side sewer from the lateral sewer to its connection to your home plumbing system. The side sewer is considered to be the part of the sewer system that goes from the main city sewer system, usually under the street, up to, and into the building in question. 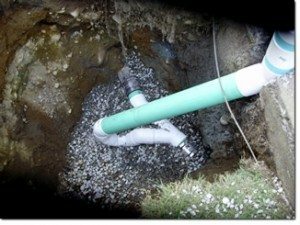 If you are experiencing side sewer trouble in Bellevue, Renton, Kent, Seatac, Redmond, Issaquah, Auburn or King County call Fox Plumbing & Heating at Call Fox today at (206) 767-3311. What to do if you have a Side Sewer Problem? Fox Plumbing & Heating will come to your home and help diagnose problems without digging up your yard in most cases. We begin by sewer scoping your existing line to allow us to find exactly where your problem exists. This allows our plumbing professionals to see and understand exactly where your plumbing problem is, then we will able to provide you an estimate to fix your issue. Our trained plumbing professionals are here to help, and we’re ready to answer any questions you might have. If you’re not sure if you have a side sewer issue, our professionals will walk you through any questions you have to help you make the best possible decision for your needs. Friends, neighbors, and family keep telling us what a great job that we've been doing and you can see more of our testimonials here. Below are testimonials from our previous customers from Burien and all over King County. I have used Fox Plumbing and Heating for five years for both my residence and a rental. Leaky toilets, water shut-off, replacement of water heaters and a complete replacement of the main sewer line that gave up after 70 years of service. Always quick to respond, on time, efficient, professional and fairly priced. They're and always will be my go to plumbers. Highly recommended!